Getting tired of all your old Beatles shirts? Well, you're in luck. Universal Music Group announced today that they acquired the rights to the Fab Four's merchandise in North America. The Beatles' business firm, Apple Corps., partnered with Universal's Bravado division to license a new line of the band's products. 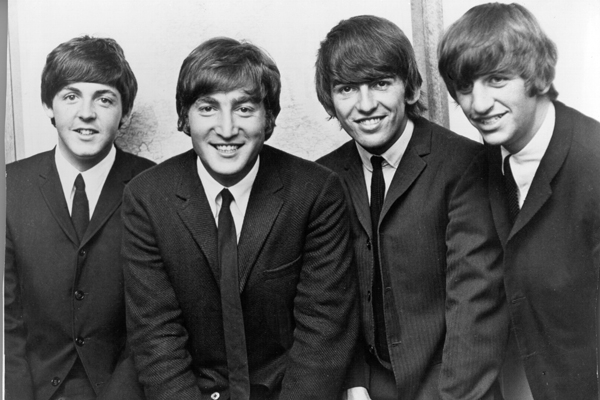 This deal means that Universal now owns both the merchandising rights and the band's music catalog, thanks to the 2012 purchase of the Beatles' former label EMI. "All of us at Universal Music Group are very excited about extending our relationship with the Beatles' iconic brand to include both merchandise and their legendary recordings, and about the potential for innovative marketing of creative new products," UMG Chairman and CEO Lucian Grainge said in a statement. Among its hundreds of clients, Bravado also manages the merchandise for the Rolling Stones, including all the associated memorabilia surrounding their 50th anniversary shows. According to Bravado, the initial set of new Beatles products will be available in July.